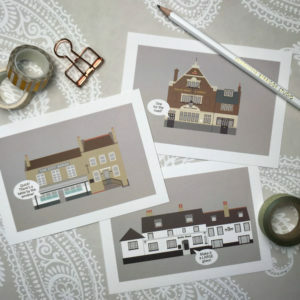 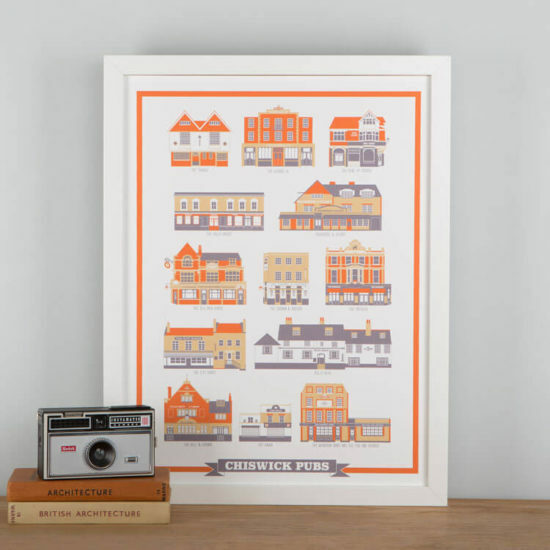 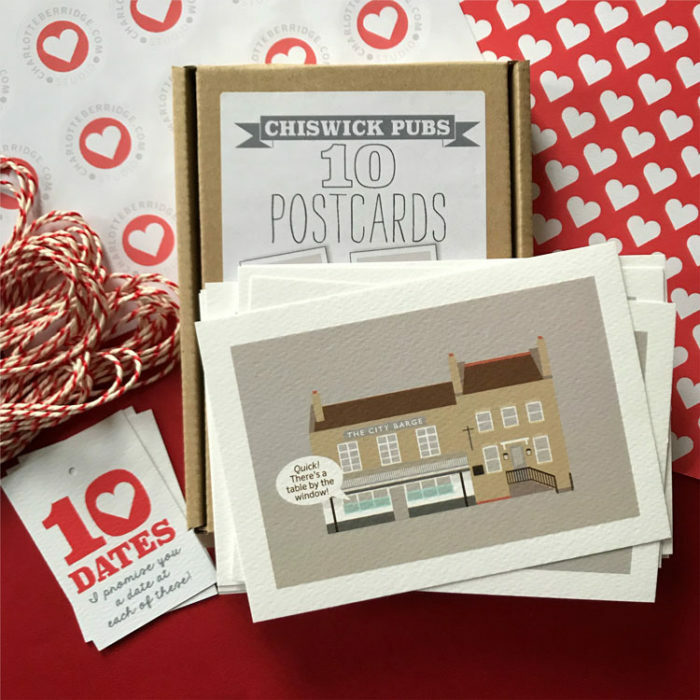 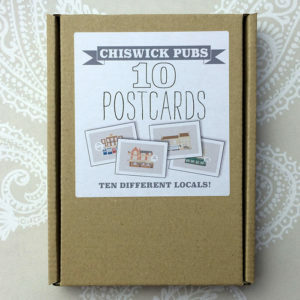 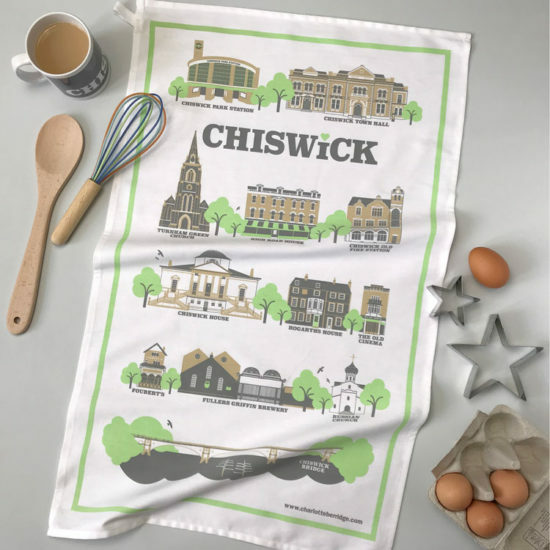 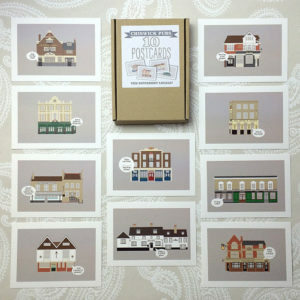 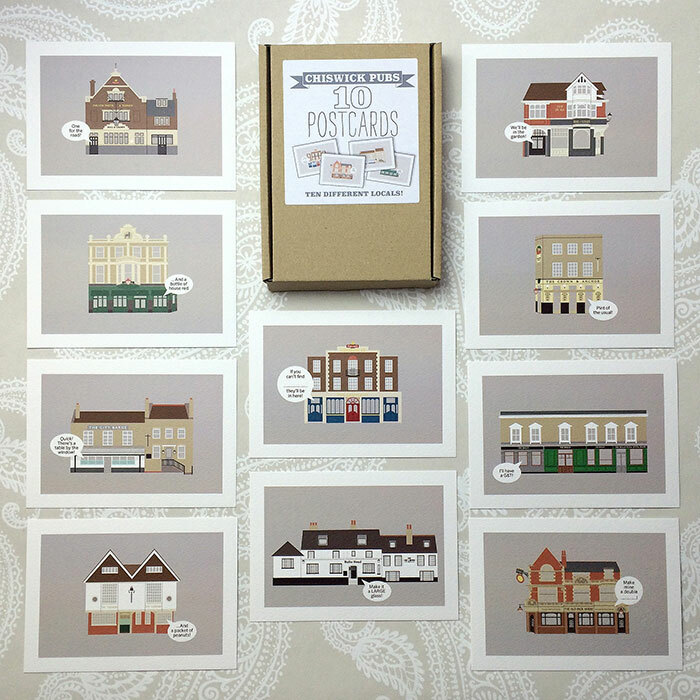 Gift wrapped boxed set of ten, A6 illustrated historic Chiswick Pub postcards, created exclusively by Charlotte Berridge. 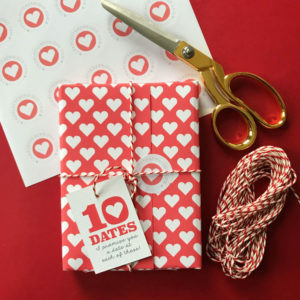 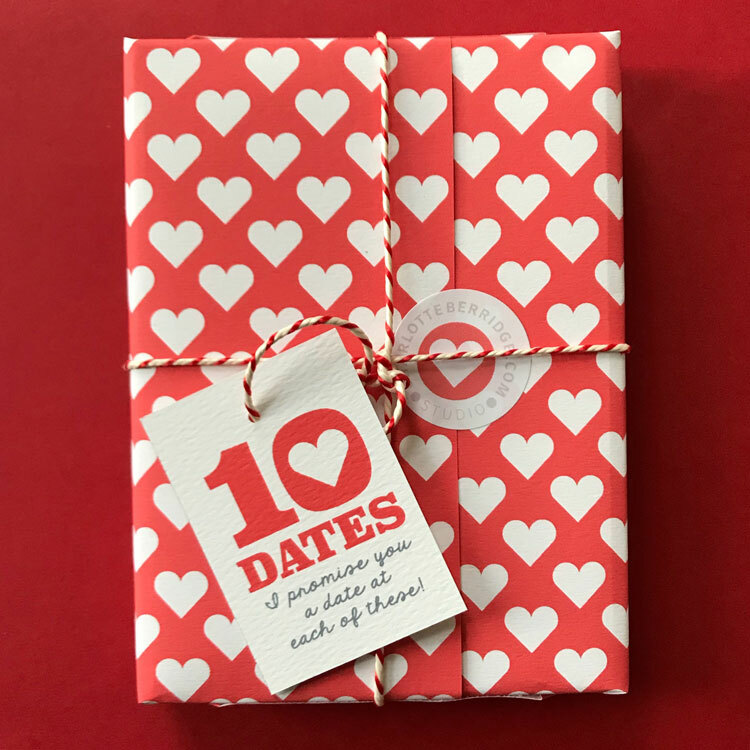 Wrapped in heart paper with a “10 Dates – I promise you a date at each of these!” label (as pictured). 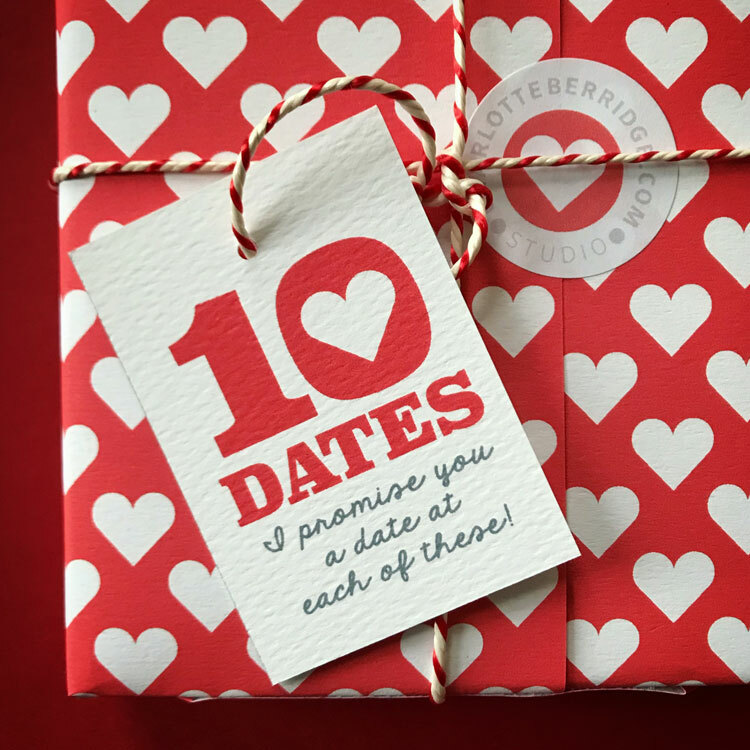 Whether you treat your date to a quick half or a three course meal in each, it’s up to you! 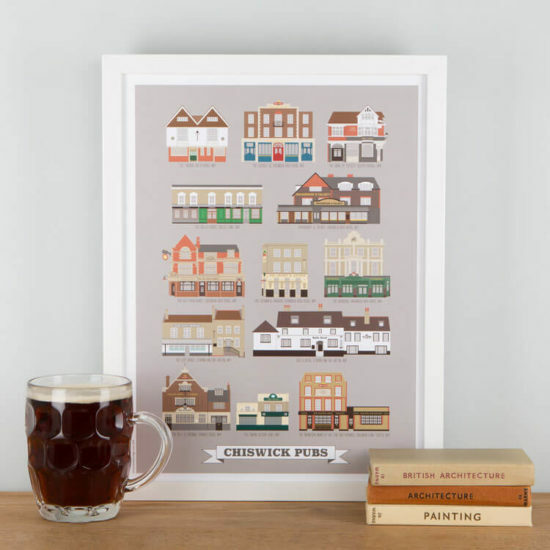 The Bell & Crown, The Bollo House, Bulls Head, The City Barge, The Crown & Anchor, The Duke Of Sussex, The George IV, The Old Pack Horse, The Roebuck and The Tabard.